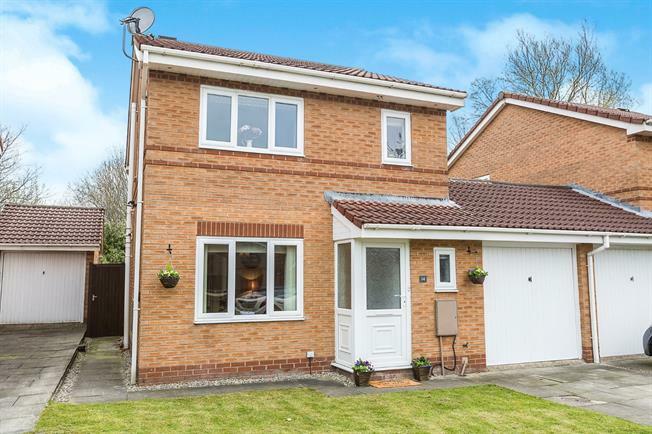 3 Bedroom Link Detached House For Sale in Preston for Asking Price £185,000. This delightful three bedroom home provides everything you need for modern living and more. Presented to a high specification. Ideal for the perfect family home. An internal inspection is highly recommended. The ground floor is home to a welcoming entrance hall with downstairs WC. The bright and spacious lounge adjoins onto a wonderful dining room with sliding doors opening onto the garden, allowing the space to be filled with natural light and perfect for bringing the outside in. The modern fitted kitchen has a host of integrated appliances and a large under stairs storage cupboard. Upstairs, you will find three bedrooms, two of which are doubles, with the master bedroom benefitting from luxury en-suite facilities. There is also a luxury modern family bathroom too. Outside the front of the home is off road parking for two cars and a single garage with additional loft space. The rear garden is majority laid to lawn with a patio area and is very private and secure. View to appreciate. Double glazed uPVC entrance door. Radiator, vinyl flooring. Double glazed uPVC window facing the front. Radiator, vinyl flooring. Tiled splashback. Low level WC, pedestal sink. Sliding double glazed doors opening onto the garden. Radiator, carpeted flooring. Double glazed uPVC door opening onto the garden. Double glazed uPVC window facing the rear. Radiator, vinyl flooring, under stairs storage cupboard. Fitted wall and base units, complementary work surfaces, integrated electric oven, gas hob, extractor fan. Space for washing machine, fridge/freezer. Double glazed uPVC window facing the side. Carpeted flooring, built in storage cupboard. Double glazed uPVC window facing the side. Radiator, vinyl flooring, part tiled walls. Single enclosure shower, pedestal wash hand basin. Double glazed uPVC window facing the rear. Radiator, vinyl flooring, part tiled walls. Low level WC, pedestal sink, panelled bath with shower over the bath.